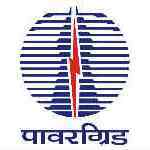 Power Grid Corporation of India Limited a Government of India Enterprise entailed in operations of electricity generation, transmission, distribution and trading over the country. It carry over more than 50% of power generation of the nation through its transmission networks. PGCIL is incorporated in the year 1989 that's headquarter is situated in Gurgaon. It recently issued a recruitment notification to employ energetic and dynamic engineering graduates in various discipline. The recruitment is for 51 vacancy in different discipline which consider different qualification and eligibility criteria. Interested applicants who have the below mentioned eligibility can apply in the prescribed application format. Engineers - B.E/B.Tech or AMIE in civil engineering with a qualifying marks of 55% in the engineering graduate from a recognized university or institute. Supervisors - Should completed Diploma in Engineering from a recognized institute in a relevant discipline of the vacancy above mentioned with a eligible marks 55% in their final exams. Age Limit and Relaxation: The upper age limit for both the vacancies are 29 years as on 17th September 2012. There is a age relaxation for candidates belonging to OBC and SC/ST for a years of 3 and 5 respectively. For candidates who cones under the category of (Person with Disabilities) will get a relaxation for 10 years. The selection process consists of screening test and personal interview. Screening test will be conducted for 1 hour that consists of two parts with Part-1 carries 50 objective type questions from their own discipline and Part-2 carries 25 marks that comprise vocabulary, verbal comprehension, quantitative aptitude, reasoning ability, data sufficiency, numerical ability etc. The screening test will be conducted on Jharkhand and the admission to the exam is strictly on production of admit card in the exam center. For the first year the Field Engineer will be paid remuneration of Rs.30000/- and a increment of Rs.3000 follows in the second year along with the previous pay. For Field Supervisors the candidates will be paid Rs.23000 in first year ans Rs 25500/- in following year. draft. The envelop of the appiccation should be superscribed “Application for Post Code …………… in POWERGRID, ER-I” and send it by ordinary post to address mentioned "The Advertiser (PG-ER1, Post Box No.- 9248, Krishna Nagar Head Post Office,Delhi – 110 051".